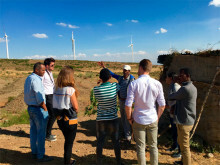 As part of the Danish-Ethiopian cooperation on accelerating the deployment of wind energy in Ethiopia, two one-day workshops on wind tender design and wind project finance were organized in Addis Ababa on 5th and 10th of October. 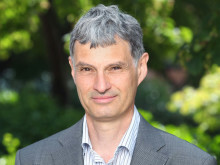 Here Danish and international experts from among others Germany and South Africa, joined the conference and exchanged experiences and best-practices from on-going IPP tenders and funding of wind projects in Europe and Africa. 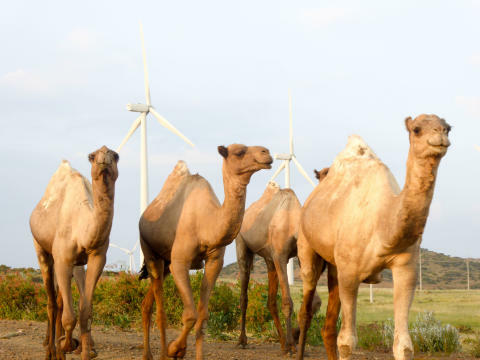 The Ethiopian state owned utility company EEP presented the plans for engaging the private sector in the development of the power sector with focus on wind energy in order to achieve affordable and reliable energy through the IPP auctions. Since there is no “one-size-fits-all” formula for performing a successful auction, Danish and international case studies were presented with a focus on lessons learned and recommendations so that the different design elements should be selected and combined in a way that is tailored to meet the goals of the auction according to Ethiopia’s specific requirements and characteristics. The main objective of the workshop was to strengthen expertise and capacity building of the Ethiopian stakeholders involved in the design of the wind tenders. Among other things, this included transfer of knowledge and know-how on various auction elements such us the prequalification requirements, the winner selection process and the sellers’ and buyers liabilities and obligations. Finally, the organizational setup for IPP tender was discussed and the necessity for a clear framework and the commitment of the leadership were identified. High level representatives from the different governmental institutes attended the financial workshop to discuss key elements in the financial structure behind the development, construction and operation of a modern large-scale wind power project. The different types of investors and investor preferences in African infrastructure projects including wind power projects were discussed along with key issues to address in policy and regulatory framework seen from a financial point of view. During the workshop, it was indicated that in order to reach financial close winning bids in the upcoming IPP wind tenders, the various financial aspects of an IPP wind power project are quite important. The value of risk guarantee products was explained highlighting the de-risk ability to reduce the cost of capital and consequently reduce LCoE. In addition, bankable tender documents along with the bankable data and proper Environmental and Social Impact Assessment were identified to be crucial for a successful tender. 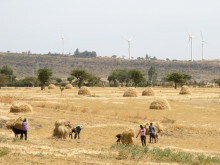 Finally, it was concluded that the key learnings from both workshops should be reflected in the future framework for IPP wind tender and wind power operation in Ethiopia to secure this energy source at attractive prices as an important factor for the growth and development of the Ethiopian economy. Learn more about AWPGE here. 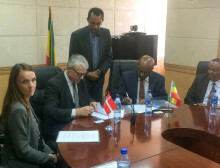 A delegation from the Danish Energy Agency (DEA) headed by Mr. Anton Beck, Head of Division for Global Cooperation, and Dr Engineer Sileshi Bekele Minister of Water, Irrigation and Electricity of Ethiopia (MOWIE) have officially signed the Implementation Partnership Arrangement, which covers Government-to-Government Cooperation on wind power.